How to Download DVD Movies to a Computer (Mac Included)? How to Download DVD Movies to a Computer (Windows 7/8/10 and Macos sierra Included)? Where and How Can I Download DVD Movies to Play on My Computer? - Anybody know of any file sharing website or software that allows me to download DVD movies (probably in ISO files), and then I can play them on my Windows 7 computer? When it comes to watching DVDs on a computer, people will first have in mind playing the discs directly using the AutoPlay feature, say, via Windows Media Player, with the help of the DVD drive on Windows 7, Windows 8 or Windows 10. But things are not always that straightforward. What if you lack a DVD drive on your computer, or even any DVD? Is it possible to download DVD movies from the internet to the computer? Yes, in different ways. The answers of how to download DVD to computer should depend on whether you have the DVD itself. ▶ Alternatively, you can burn DVD to computer. How to Download DVD ISO Movie Files Online? An ISO image is an archive file (i.e. disk image) of an optical disc by use of a conventional ISO. Also, it is the image of a whole CD or DVD, the entire contents of which can be fully duplicated and contained in a single ISO file. ISO image is an image file produced by copying all information in an optical disc. You can download DVD ISO movies online. Many websites, including movies-download-site.info, have kicked off the downloads of ISO movies. The ISO movies will possibly be downloaded and saved to your computer. The size of an ISO image file of a full-length movie is large, generally over 6GB. To make it better preserved, WinX DVD Ripper Platinum seals the deal by compressing the file size and converting the format of the original ISO image (or DVD disc), and the output digital file (for example, .mp4) won't be in a much downgraded quality. Better still, the downloaded DVD movies can be ripped to iPad and iPhone friendly files, as well as be able to watched stably and easily on Apple TV, Samsung Galaxy Note 5/S6 edge+, Google New Nexus 7, HTC One (M8), PSP and so on. Windows XP/7/8/10 and Mac OS compatible! How to Rip a DVD to Your Computer Running Windows (7/8/10) or Mac? Ripping a DVD to a PC or Mac can retire the original disc and avoid the repeated operation of putting the DVD and pressing DVD every day. By ripping DVD to computer, the movie can be played back more flexibly by all kinds of players, such as 5KPlayer, VLC and Windows Media Player for Windows 10. However, not all DVDs can be copied successfully to computers, particularly due to the cause of copy protections that are built inside of most commercial DVDs. Some are easy to get pass, but the majority are not. Only a professional and powerful DVD backup program, typically, WinX DVD Ripper Platinum, can iron out all of the DVD encryptions, including Disney X-project DRM, Sony ArccOS, CSS, region code, RCE and UOPs. How to Remove Copy Protection from DVD? 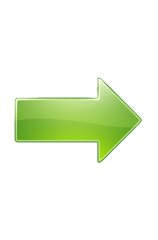 Remove copy protection from DVD and convert DVD to MP4, AVI, WMV, iPhone, iPad, Android, WP in a simple and fast way. 1. Download the DVD ripper to computer, install it, and double click the software icon to launch it for use. Insert a copy protected DVD or any other DVD to your DVD drive. Tap "DVD Disc" button to import the DVD. 2. After the main title is selected, you need to choose an output format from Output Profile according to your needs. There are a bevy of choices. For example, you can choose "MP4 Video" in "General Profiles" since MP4 is one of the most widely used video formats with high video quality, small file size and high compression ratio. For fast DVD backup on computer with original video audio quality, you are enabled to also choose "DVD Backup" option for copying the DVD to ISO image, DVD folder or MPEG2 with main or full movie title. 3. Set Destination Folder to save the output file via "Browse" button. 4. Get RUN button clicked and let the ripping process begin. Everything will work great from beginning to end. After a short while, the video file can be found and played on your computer. The fast DVD ripping software also will convert a DVD to iPhone, iPad, Android, WP8, PSP and Roku friendly formats for playing back DVD movies on the go. 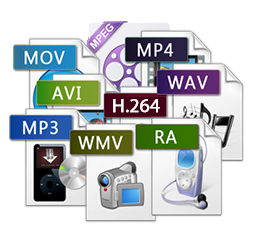 The DVD format can also be changed to AVI, WMV, MOV, H.264, HEVC, M2TS, FLV and so on. How to Burn a DVD to Your Computer on Windows 7/8.1/10? If you do not have a DVD, but are in want of one by self-making, burning video files to DVDs is the way to go. No matter the source files are downloaded from the internet, taken by HD camcorder, or ripped from Blu-ray or sent by the others, they can be free burned to DVD on a computer. WinX DVD Author helps you free make and burn DVD on Windows 7/8/10 computers as easy as rolling off a log, from MKV, MP4, AVI, FLV, MPEG, MOV, RM, RMVB, H.264 or many other files regardless of the video formats. The DVD can also be personalized with a DVD chapter menu and subtitle (*.srt). How to burn a DVD to computer? Step 1. Download the free DVD burner to computer (Windows 10 supported), and install it. Step 2. Firstly, insert a blank DVD disc. Click "Video DVD Author" button and choose "+" (Add Files) button. Add any source video clips from your hard drive. Then hit ">>" button and enter to the next process. Step 3. Click "Title Menu" to change the picture of title menu, or "Chapter Menu" to create one. TT and music button can help you add text and background music. Step 4. Choose your output format between NTSC and PAL, define the output folder and click Start button. Thus, you are making DVD creation such that you can use the copies via a DVD player instead of playing the original videos.